Have you ever wondered if James+James offered outdoor furniture? 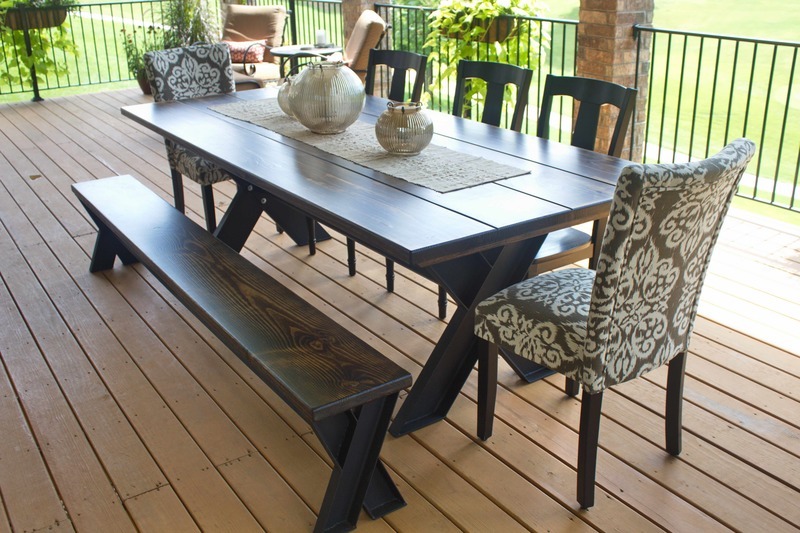 We can definitely build custom solid wood outdoor furniture that is weather resistant! The reason that it is not offered standard on our website is because each order is so custom. 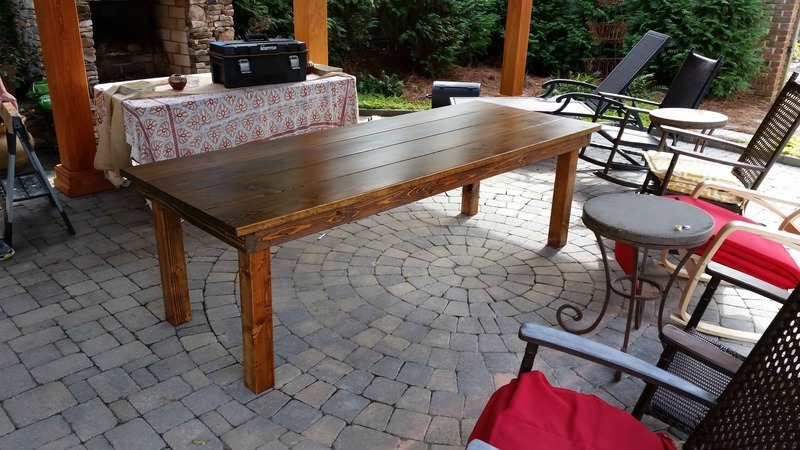 If you are interested in purchasing outdoor furniture, and want us to build you a custom table, email us or call us! When we build outdoor furniture, the process is much more extensive than our usual building process. The wood for our outdoor furniture is cut to size, stained in your preference of color, and then sealed with a Spar Urethane varnish which is oil based and helps protect against UV and water damage. Our carpenters then build the table with the pre-sealed boards before it gets another coat of the outdoor treatment.